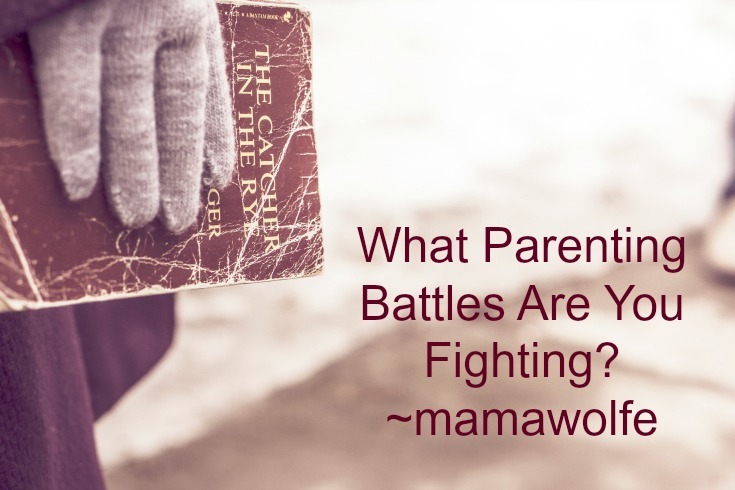 What Parenting Battles Are You Fighting? That one got me thinking. Am I that inconsistent? Or is he just smart enough to see what’s really going on beneath the surface? Parenting is sort of like going to battle without a plan. We start off as new parents overjoyed with the idea of life ahead, and for the most part, joy is the overriding emotion of my parenting experience. And then life happens. Infants turn into toddlers, then third graders, thirteen year olds, and suddenly the teenage years smack us over the head when we weren’t looking. The skirmishes begin in full force. Let the parenting battle begin-and parents, you’d better be ready. Some days the plan of attack is subtle, but not without strife, to be sure. Get your homework done before video games, complete your chore list without complaining, and study for finals. That’s the easy stuff. It’s the harder issues that lead to full engagement, wondering if a ceasefire will ever be possible. The ones that leave you with the ache in your gut. The ones that make you dive for the parenting handbook and leave you breathless with worry. The ones that you just need to ride out and trust that things will work themselves out. Yesterday’s choice wasn’t one of those legendary philosophical decisions. For many people it would have been quite simple. It was normal kid stuff, things that maybe some parents don’t even blink at. But I do. It really was about teenage decision making – trusting that his frontal lobe was keeping up with his intelligence. This is something I’ve been taking into consideration this year, now that he’s 15 and full of confidence. 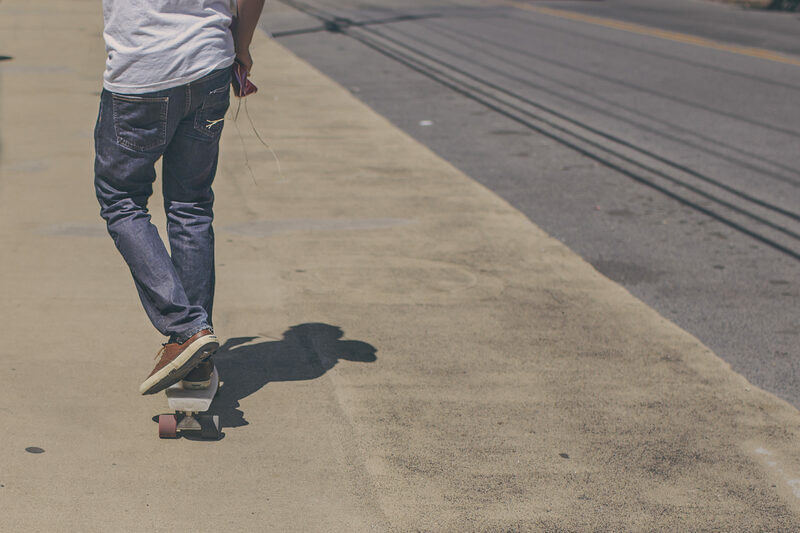 Last summer, I had finally come to a place where I felt ok with him living away from home. I felt comfortable with his community, with his coaches, and with his friends. I felt like he was on a strong, health path. He was young – but he knew what he wanted. Then came the phone call last August, when he broke his leg and I changed my ‘chill’ attitude. Suddenly, he was vulnerable again, and I fell into mamawolfe mode and all the doubts, the ‘proof’ that ‘things happen’, and now I’m caught in the mental battle of how far to let him go, how do I trust that he will be safe. Watching the news sure doesn’t help – just last night I reminded him that if we listen to the stories, none of us should walk out of our house, light a firework or travel to a big city for the 4th of July. Terrifying, if you think about it too hard. Terrifying to think about the battles going on in our world, let alone within the mind of a teenage boy full of hormones. And this is where my angst set in, where I struggled with the parenting battle lines. What do you stand up for, what do you let slide? When do we trust that all those years of hand holding and teaching and boundaries pay off in their solid decision making? Where does the intersection of our own fears and our common sense lead us, when we come to a four-way stop and need to decide what is best for our child? When do we let our kids just be kids, and push away all the fears – rational or irrational – and trust that everything will just be OK? This is perhaps one of the most formidable parts about parenting – the struggle between throwing down the gauntlet, honoring the change in our children, recognizing the growth they’ve made from preschool to high school, and taking that deep breath, holding it for just a second, and releasing it with a quiet, “yes”. Because when you think about it, the most indomitable parenting battles are really within ourselves, aren’t they? OMG – I feel this! I could tell you soooooo many stories about the battles I had with my oldest son who is now 34 the total opposite of what he was at 16. Hang in there – it all passes and then the silence is deafening. I fill mine with lots of Metallica while I sit and write! Thanks for the read. Gilly Maddison recently posted…What To Do With Ashes After a Cremation. Thanks Gilly. Most days are decent and I do cherish every single one we are together. My oldest left for college so I understand the silence- and don’t really look forward to him leaving in three years. Metallica while you write?!?! You must come up with some aggressive words!